This Camera Motion Image Capture pulling light stretching light seems an image someone might appreciate to see.-Ernie Moore Jr. 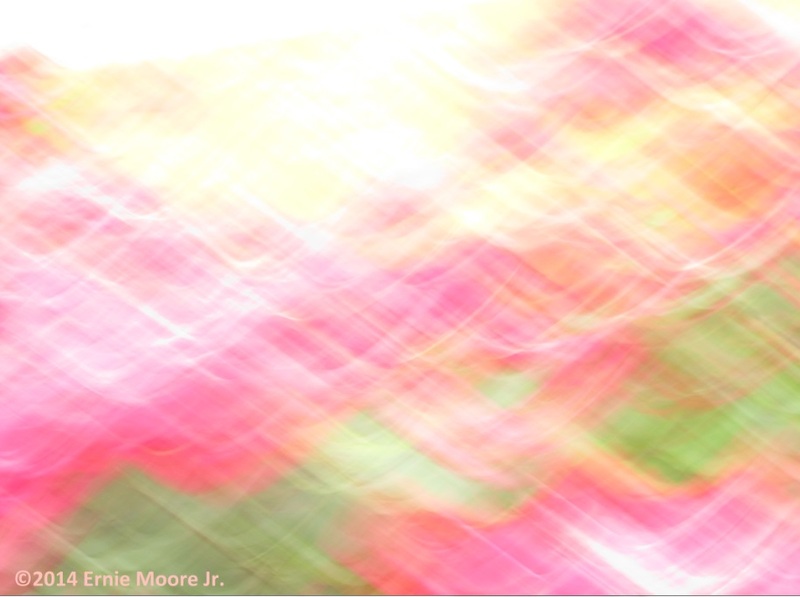 This Camera Motion Image Capture swirled pulling light stretching light is of roses.-Ernie Moore Jr. This Camera Motion Image Capture, photography pulling light-stretching light Image within an Image might resemble a seated person reading.-Ernie Moore Jr. This Camera Motion Image Capture photography pulling light stretching light is a rarity in my photographic stylings. 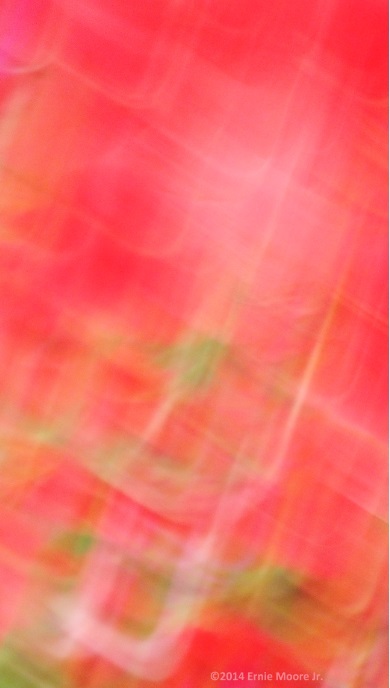 Usually I am looking for an Image within an Image or Accidental Art. 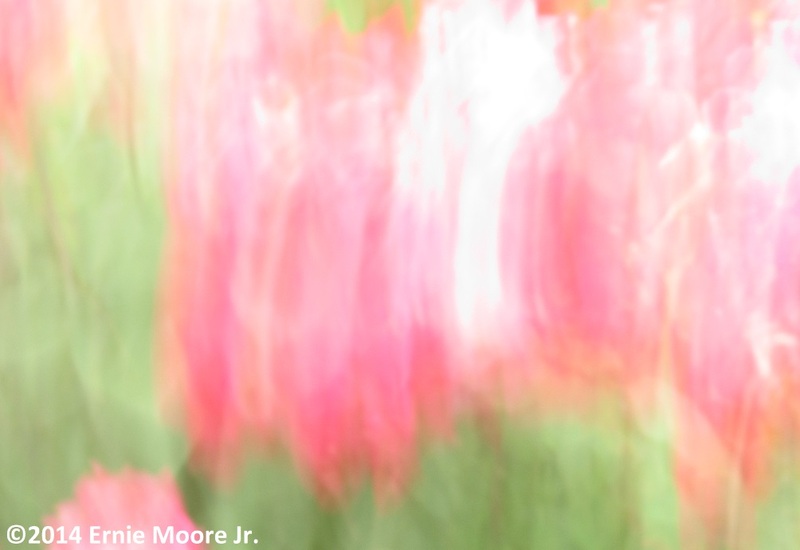 However, true to what I do I am attracted by the play of light in this digital image, digital photo, digital photograph…With these colors my mind thinks of sherbert,-Ernie Moore Jr. 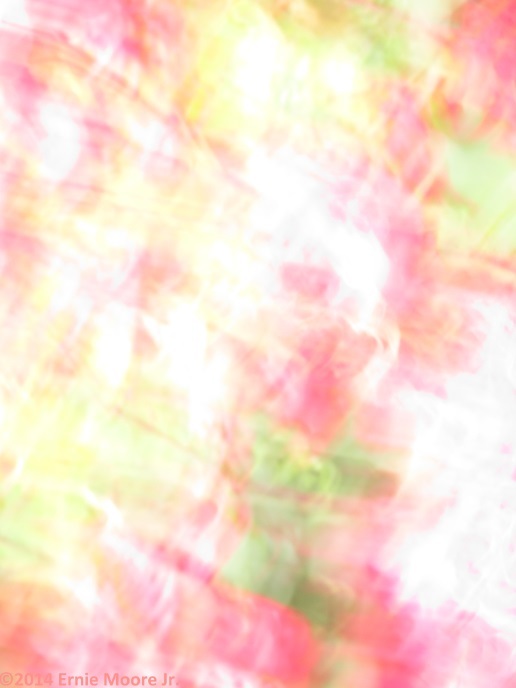 Camera Motion Image capture of roses. This cropping was because I thought I noticed a face under a tight fancy hat with a flower on it. If there’s a face It’s frog like.-Ernie Moore Jr. 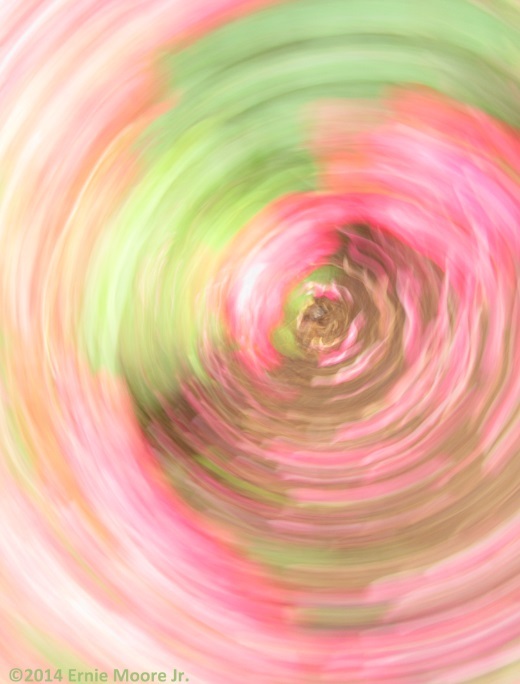 This Camera Motion Image Capture of roses Image within an Image. Photography stretching light-pulling light resembles people standing around.-Ernie Moore Jr.